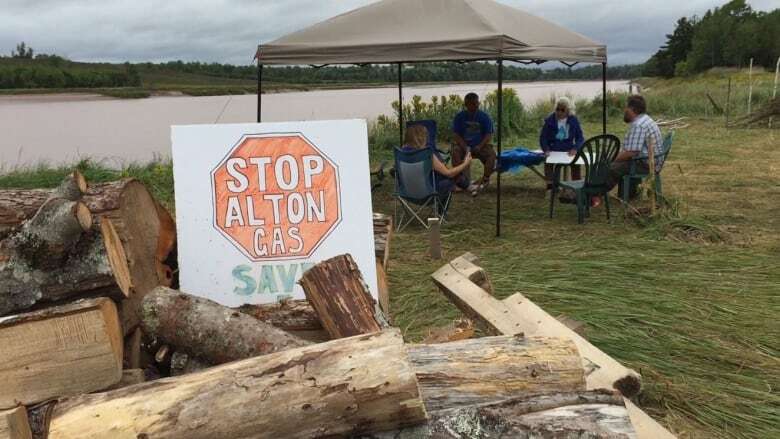 Protesters who want to stop the Alton Gas project in Nova Scotia say they're hopeful the federal government will listen to their demand for more research to be done on the effects of releasing salt brine into the Shubenacadie River. Calgary-based AltaGas wants to hollow out salt caverns to store natural gas near Stewiacke. The company has proposed that the brine be released into the river. On Thursday, representatives from Fisheries and Oceans Canada visited the site with members of the Sipekne'katik First Nation. "We're expecting them to take a good look at this. We need a climate change lens on this, we need a species at risk lens on this," said Cheryl Maloney, a councillor with the band. "We need to make sure that they uphold and protect Aboriginal treaty rights, which includes conserving the species that we use to fish and hunt and trade." Maloney questioned the research done by AltaGas on the effects of salt brine on fish species in the river. The company said Friday it will not discharge brine "through the period when striped bass eggs and larvae are most abundant following spawning." It said it will also conduct detailed monitoring, and a study to determine the potential toxic effects of the brine would start once brine from the Alton project is available. The company also posted fact sheets — developed by Dalhousie University with input from Alton — on 20 species. 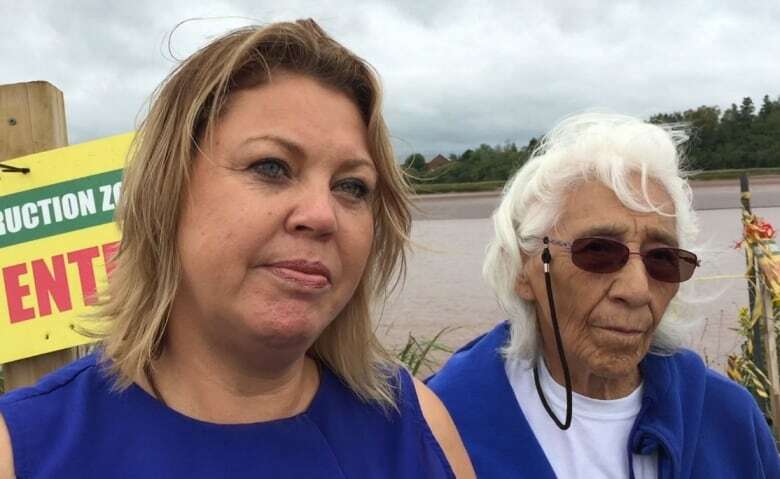 However, Maloney said she and local fishermen believe that some of the research was done at times when certain species of fish weren't spawning, and not in all areas of the river. Her group intends to start collecting fish samples and doing their own research. "We know this river. We can do this work. They can't — they haven't," she said. Darren Porter, a local fisherman who was part of the protest, is making traps to collect fish for sampling. "They're not specialists at gathering material and fish and species," he said. "We know how to do it. "You've got everything that comes up in this river that can go in that channel being exposed to these levels of salt. It's just incredible. It's going to kill them." However, Fisheries and Oceans Canada said its research showed that no species at risk were likely to be harmed by the project. Mark McLean, the manager for the department's fisheries protection program, was on the team that visited the site on Thursday. He said the department already has a substantial amount of data on the salmon and striped bass in the river. "As with any project, additional information is great, but for the purposes of determining what the risk would be to those species, we have quite a bit of information that's collected," he said. McLean said he understands the project is of great concern to the community. "DFO walked away from that meeting having a good appreciation for the concerns that are being raised, and we take that seriously," he said. "We're working with the regulators of the project to make sure that information is communicated." But McLean said his department does not get the final say on whether the project goes ahead. "We don't have anything that we could stop the project with at this point," he said. 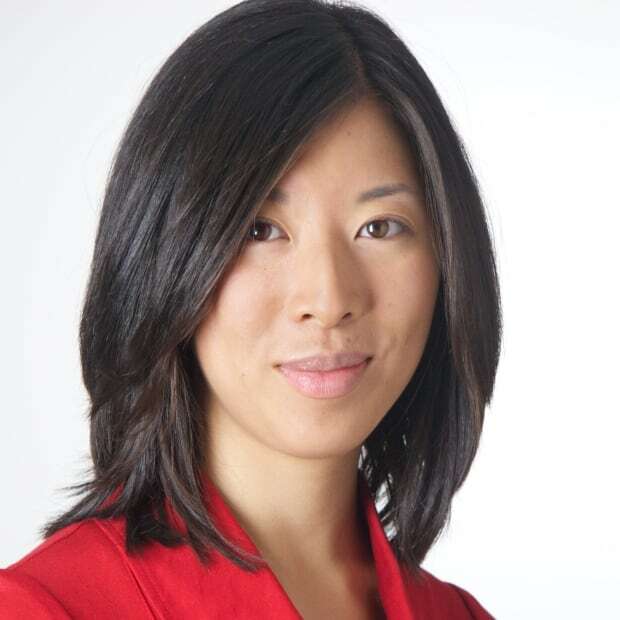 McLean said the federal government could continue to make the community's concerns known to the regulator, which is the provincial government.